The typical employee feels disengaged or bored with their work for about 10.5 hours per week. However, it is possible to stay sharp and engaged in nearly any job. The first steps happen the night before. They should make sure they get at least seven to nine hours of sleep. Look at the commute as an opportunity to jumpstart the day. Mentally review your work for the day, noting the task that you will start first. Then, let go of work for a while and inject creativity with a podcast or audiobook. At the office, take a good look at the workspace and consider adding more ergonomic seating, better lighting, or even a plant to make the environment more comfortable and engaging. Not feeling challenged can also be a significant roadblock to staying engaged at work. Talk to the manager to see if there is room for an extra creative project or maybe time for skill enhancement. Save more money by using helpful smartphone apps. Here are a few helpful financial apps to help you save, invest and make financial decisions. The app Acorns rounds up small purchases. If you buy a $2.50 coffee, it rounds up the price to $3 and invests the 50 cents in a portfolio of low-cost exchange-traded funds. You can choose the level of risk, from conservative to aggressive. According to Money, one user saved an extra $250 in a few months without noticing any difference. TaxCaster by Intuit TurboTax can estimate your income taxes. It can do a side by side comparison of your tax obligation estimate with the 2017 and 2018 tax laws, to see how tax reform might affect you. It can also help you make other tax-related financial decisions such as realizing capital gains, all from your smartphone. Anyone can learn and understand more after just 10 minutes of moderate to vigorous exercise. That is the finding of a University of Western Ontario study published in the January 2018 issue of Neuropsychologia. The effects of 10 minutes of exercise appear to be immediate. In the study, a group used an exercise bike for 10 minutes and was then tested on reaction time in completing a non-standard task. The exercisers had an immediate 14 percent gain in cognitive performance. Previous studies have shown that 20 minutes of exercise confers brain benefits, but this study shows that even people with physical and mental limitations can benefit from minor exercise. The implications are important for everyone. If you are taking a test or about to engage in any mental task, 10 minutes of exercise beforehand can give you an extra mental edge. Have you ever wondered why we are annually seized by a sudden urge to air out the house, banish dust, organize closets, clean out cabinets, scrub floors, wash windows and organize our garages, attics and basements? It turns out that there are biological, social and psychological reasons for the spring cleaning ritual… and that’s a good thing. In the winter time days are shorter and melatonin production (the hormone that produces drowsiness and enables us to fall asleep) is increased, making us want to relax and sleep more. We spend more time indoors. Our mood tends to be more subdued and energy levels are lower causing our housekeeping habits to slip. Various soils and contaminants begin to build-up in our homes as a result. Then, the first day of spring comes in late March, and when it arrives most of us are ready. Days are getting progressively longer and nights are getting shorter. The additional daylight suppresses production of melatonin. The more daylight we are exposed to, the less melatonin we produce and the more alert, energetic and active we feel. Once the winter doldrums pass, we become more aware of the less-than-ideal condition of our surroundings. The energy and optimism of spring prompts us to improve our environment. It’s easier to be enthusiastic about cleaning and organizing in the springtime. Cleaning and organizing are tasks that have an obvious goal or conclusion. You feel a sense of accomplishment upon completing a task. Your self-esteem increases. Endorphins are released in your body, increasing your sense of wellbeing. In addition, you feel pride of ownership when your home is clean and organized, further improving your mood. The history of early America also provides a basis for the spring cleaning custom. In the winter, fireplaces, oil lamps and wood stoves created a fine layer of oily soot, ashes and dust on floors, walls, ceilings, rugs and windows. As temperatures increased and days got longer, use of these heat and light sources decreased. Spring became the perfect time to fling open windows and doors and clean everything. Rugs were beaten and aired out. Walls, ceilings and floors were swept and scrubbed. Spring has always been a time of change. Americans tend to have two distinct wardrobes: one for warm weather and one for cool weather. Since closet space is limited, we often clean and organize closets this time of year. The type of work and play activities change, so we put away winter toys and tools and get out the ones for warmer weather. Now we need to clean out and organize our garages, basements and attics. All of these biological, psychological and social reasons mean that we are basically hard-wired for spring cleaning. However, it is easy to become overwhelmed with all of the things you want to clean and organize. Don’t try to do it all by yourself. Call an experienced cleaning company to help you with the big jobs. 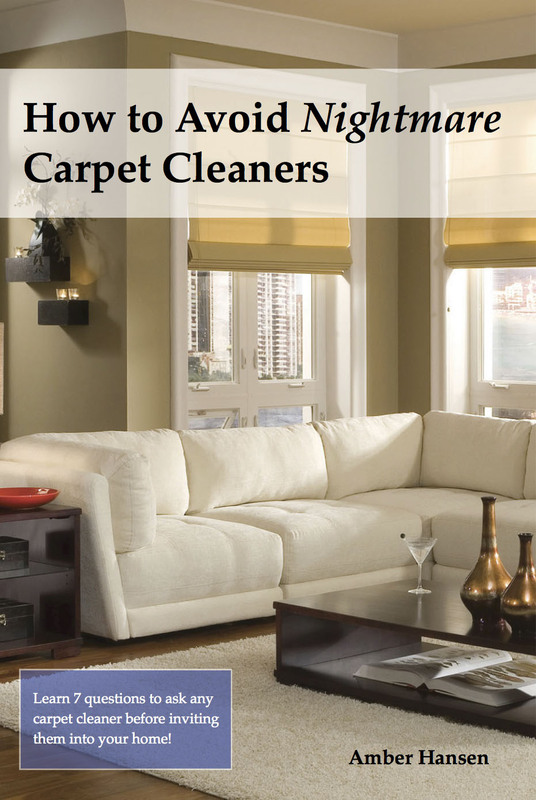 A reputable company can clean your carpets, upholstery and more. Call Hansen Steam Way to learn more or schedule your next cleaning. Twin sisters Agnes and Margaret Smith, born in 1843, broke societal barriers and were responsible for one of the most important ancient discoveries. Raised with an unconventional upbringing, the sisters mastered several languages, traveled extensively, married late in life, and caused scandal exercising in their yard in their bloomers. But the sisters electrified the world with their 1892 camel caravan to Africa where they visited the ancient mountaintop monastery of St. Catherine’s and there identified and photographed one of the oldest Gospels ever found. The sisters had no degrees and no titles, but their extraordinary adventures rocked British society. They learned of a dark closet at St. Catherine’s filled with ancient texts, and it was there that Agnes Smith identified and photographed the manuscript. A fantastic book for Women’s History Month, The Sisters of the Sinai reads like a gripping adventure story. It is more important to securely fund retirement accounts than to save heavily for a child’s college education, according to USA Today. Deciding whether to save for retirement versus education is often filled with complex emotions. But, in fact, it is wise to prioritize retirement first. While children can take out student loans to pay for college, it is unlikely that parents can finance their way through retirement. College students have many options to pay for their education and having a fully funded savings account might tempt the family to place less importance on free grants and scholarships that will often require more work up front, but don’t have to be paid back. According to Dave Ramsey, saving for education is a luxury, but saving for retirement is an important necessity. Save for your retirement before any future education. Fast-forward to the present day, and people have lost that sense of community and social behavior. According to Fortune, the amount of people describing themselves as lonely has doubled over the past several decades. Many factors such as technology and more demanding work hours all contribute to more isolation between people despite living in a world that is more technologically connected than ever. Regular vacuuming is the most effective way to prolong the life of your carpets. By removing dry particles, you help prevent premature wear caused by abrasive soils grinding away at carpet fibers. A good quality vacuum cleaner does more than prevent abrasive damage to your carpet. The right vacuum also helps remove pollutants and contaminants from your home. All vacuum cleaners use some kind of motor to turn fans that produce airflow. This airflow carries soils into a collection canister or bag. The air must then be filtered before it is exhausted back into your home’s environment. This is the basic function of all vacuum cleaners. But not all vacuums are created equal. Some are better at filtering small particles than others. Particles are measured in microns. A micron is one millionth of a meter. The smallest particle that the human eye can see is about 25 microns in diameter. Some vacuum cleaners filter particles as small as .3 microns. Many vacuum cleaners allow much larger particles to get through. This is a problem, especially in homes with sensitive persons with allergies or asthma. The smallest particles are able to be breathed deeply into lung tissue where they cause irritation and inflammation. Coughing, wheezing and sneezing are the result. In some cases, full blown asthma attacks can happen. What is in the dust that creates such big problems? Pollutants include mold, human and animal dander, dust mite feces, insect parts, air pollution, lead dust, carbon, cooking residues and more. Pollutants are captured and filtered out by high quality vacuum cleaners featuring “true HEPA” filtration. HEPA, or High Efficiency Particulate Air filters, are tested and certified to trap 99.97% of all particles down to .3 microns. A true HEPA vacuum cleaner actually cleans the air while it cleans the carpet. But be careful and do your homework. Just because a vacuum cleaner has a HEPA filter does not mean it is “true HEPA”. Less efficient vacuum cleaners do not clean the air. Rather, they have the effect of expelling the smallest pollutant particles into the breathing zone where they can remain suspended for hours. To get the most out of your vacuum cleaner it is important that it be properly maintained. If it has a replaceable bag, it should be exchanged when about half full. 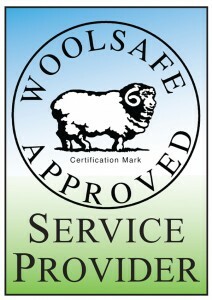 Check the belts and make sure that the brushes or rollers are in good condition. It is best to take your machine in for an annual tune-up to keep it operating at peak performance. When you vacuum do not rush over the surface of the carpet. Take your time. Vacuum over high traffic areas in two different directions to remove the most soil. This will help your carpets stay cleaner and last much longer . Never vacuum up moist soils or damp carpet. This can cause bacterial growth and odors in your machine. You need to maintain your carpet with regular, professional cleaning, but a good quality vacuum cleaner is your first line of defense in keeping a clean and healthy home. You don’t have to spend a fortune on a vacuum, but don’t skimp on quality either. Americans sometimes get a bad rap as travelers because of their inability to speak other languages. But there are many exciting places to visit that are incredibly accessible to those of us who only speak English. According to Forbes magazine, Europe offers many options. Amsterdam is one of their first recommendations. It’s easy to fly into and small enough to traverse quickly with plenty of beautiful sights along the way. About 90% of Amsterdam’s population can carry on a conversation in English. If flight time is not an issue, New Zealand also ranks highly. According to Travel and Leisure this unique country offers breathtaking views, untouched wilderness, and a rich history to explore. Although the accents and local dialect might seem strange, everyone there speaks English and the community is welcoming of foreigners interested in their country. When making plans to visit the island, don’t forget that the seasons are the opposite from North America – winter starts in June! Step 1: Define success. Talk to your partner to determine exactly what you both want for your financial future. Once you know your goals, it’s easier to budget and prioritize based on your shared vision. Step 2: Align your priorities. If one person is concerned with living in-the-now, it might not match with a partner that thinks more long-term and desires to plan for the future. You likely share some ideals like saving for education or retirement. Find those values you both share and work together. Step 3: Agree on how to accomplish your goals. Be flexible and be committed. You might try a separate bank account to accommodate your savings. Step 4: Make it fun. Plan some milestones into your financial relationship and when you reach them, have a celebration. Remember to enjoy the process. Success is a journey.